Is there a better alternative to Visual Watermark? Is Visual Watermark really the best app in Photography category? Will Visual Watermark work good on macOS 10.13.4? 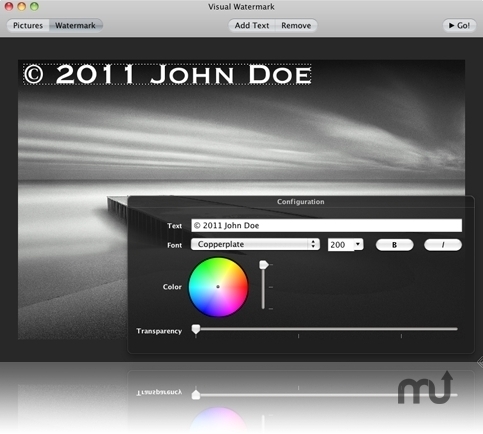 Visual Watermark is batch photo watermarking software. With it, you can watermark a large set of photos in a few minutes. No button hassle, no full screen menus, just a simple and clean interface. It's watermarking made painless. It uses multi-core processors to watermark photos really quickly. Places a watermark anywhere over a picture.